Situations causing employees to be out on leave are difficult on employees and their families – and increasingly challenging for organizations. But, it’s not just the employee absence itself that is difficult. Eight out of 10 organizations cite leave administration as the most difficult HR activity. 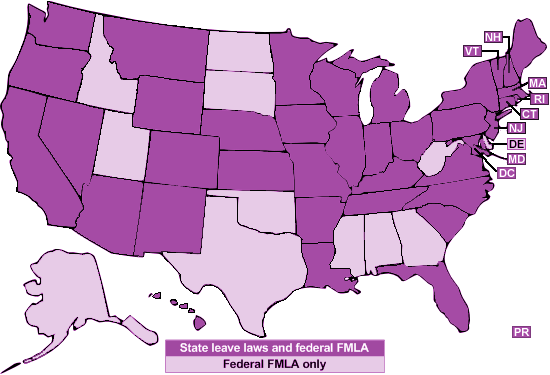 Disputed FMLA claims take a huge toll on organizations of all sizes. Case defense can cost $100,000 or more and settlements routinely cost in the millions of dollars. The risk of making a mistake is substantial. Reed Group LeaveAdvisor® helps you minimize risk and reduce the burden of employee leaves by providing simple, accurate and complete information on FMLA and state leave laws, all prepared by our world-class experts. LeaveAdvisor® simplifies exceedingly complex leave laws and case law – and helps you figure out what to do with confidence. The searchable online tool was developed by employment and leave law experts and designed for simplicity and efficiency. Our flexible navigation helps you to find the exact information you need at the very moment you need it. Search by keyword, category, state, or leave reason to obtain facts and best practices to help you handle leaves better than you ever could before. Reed Group experts update and enhance LeaveAdvisor® continually so you get the latest information and guidance every time you log in. No person can understand, interpret and apply overlapping regulations in multiple jurisdictions without expert help. Even a simple mistake can have huge implications for your organization, your employees and their families. Consulting LeaveAdvisor® is the fastest, most cost-effective and accurate way to get trusted answers about FMLA and other leave laws. The costs of employee leaves are clear – business disruption, replacement labor, staffing challenges, and administration, just to start… LeaveAdvisor® helps you avoid many of these costs and the risk of making mistakes by following expert advice and employing best practices. It’s easy and it matters. Let LeaveAdvisor® help you focus on the more important aspects of your job. Don't spend your day digging around, only to rely on stale or inaccurate information. Trust us. Get it right the first time and get back to productive work.